1. It is one of the highest growing fields in public relations. Even with it being the highest growing field, careers in sports PR are very limited, especially in professional sports. There are only 30 Major League Baseball teams, 30 National Basketball teams, 32 National Football teams and 30 National Hockey teams, which means there are only 122 single positions that can be filled in the highest level of sports. 2. Long days. 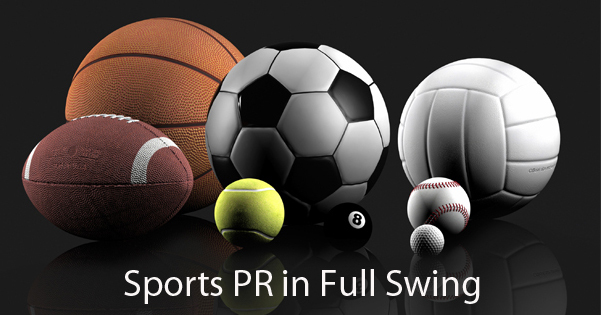 Sports Public Relations experts often work many hours, often 7 days a week especially during their sports seasons, respectively. 3. Pay. According to www.SimplyHired.com, the average Sports PR salary is $36,000. Salaries can vary with company, location, industry, experience and benefits. 3. Good outweighs to Bad. Yes, there are long hours and very little pay, but according to Adam Siepiola, assistant athletic director for media and external relations at Adelphi University, the good and fun outweighs the bad, especially since Sports PR is fun and different, and he Siepiola gets to travel to places he probably never would have had he been in a different field. Very interesting blog, never thought about the limited amount of top tier PR jobs in the pros before this. Makes the job selection process very difficult,making this field one of the toughest to obtain one. Wow you would really have to love your job due to the low odds of being hired and the pay. It would be hard to live on that salary. This is m=nice and good to know information. Keep posting!! !